Palki 2 Blogger Template is a free theme that comes with many advanced features. 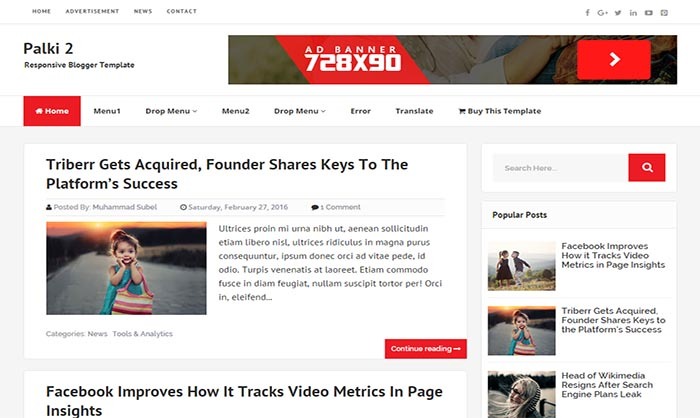 It’s the latest version of Palki Blogger Template and will change your blog appearance in awesome way. If you’ve previously downloaded Palki theme from our website then now it’s time to update that theme with latest version. If you’re looking for one responsive and SEO friendly theme for your Magazine, Blogging, Tutorials or Technology blog then this is one of the best choice for your blog as well as you will be able to get some advanced features that you ever found in premium theme.